In 2009 Debbie founded and produced Dorset parenting directory, a small directory of various up to date groups and services across the region. Usually 1 or 2 issues produced a year and at the close of 2015 we have had 11 successful issues. it is an A5 colour gloss informative journal with very economical and affordable advertising rates. 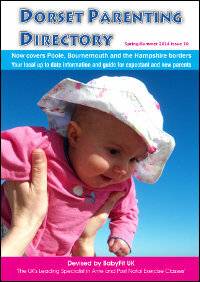 1000 are produced each time and distributed across various groups and venues in Dorset.